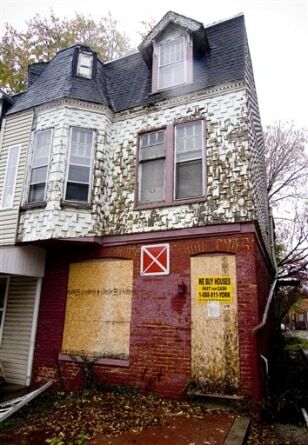 This is reportedly the home where young siblings were allegeldy living in squalor and secrecy in York City, Pa. According to court records there are five sibblings, ranging in age from about 2 to 13 years old, all the children of Sinhue A. Johnson and Louann E. Bowers. The children are now in foster care, and their parents are in York County Prison, charged with child endangerment.